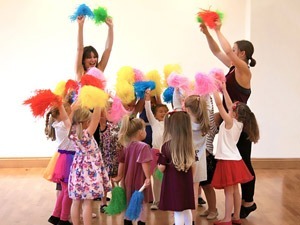 Our Kids Dance Parties are suitable for boys and girls of all ages and are available throughout Surrey, Kent and South London. Book a dance party for your child’s birthday party and guests will learn and perform funky street dance routines, play games and have a dance competition. Prices start from just £120 (including VAT). 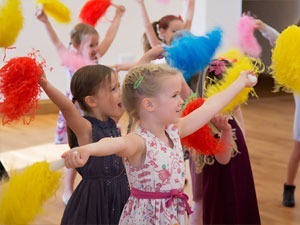 Star Steppers is a Theatre School with over 20 years experience in delivering fantastic dance experiences. With a host of fantastic parties available including the latest pop songs, street dance routines as well as the ever-popular Musical Show Stopper, a party with Star Steppers is sure to be a memorable one! Get in touch to book your Dance Party with Star Steppers Today! In the words of the Vengaboys We Like To Party! We have spent a lot of time perfecting our partying skills and had a lot of fun in the process! Now we all know the best thing about parties is cake but a close second for most has to be hitting the dancefloor and this is what we specialise in. We keep all the partygoers raving until it’s time for tea so you can get cracking in the kitchen, sit back with a glass of bubbly or (our favourite option!!) come and join us for a knees up! Our aim is to make the partying experience as easy and fun as possible for you! 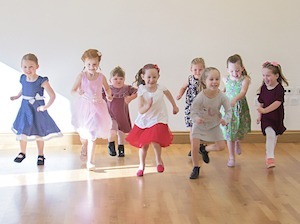 We teach dance routines, play silly games and host dance competitions and wacky races. It is a fast paced and jam-packed party designed to entertain both boys and girls alike. Travelling Steps with a partner – who doesn’t love dancing with a partner! Dance Routine – we have routines to most popular chart songs that everyone knows and loves. Street Dance is usually the most popular dance style we do at parties. Game – we have a whole load of games up our sleeve that are designed to keep everyone participating throughout – no one is ‘out’ and sat at the side – relaxing is not what we specialise in! Dance Competition – this is when we get to see them do their dancing thing! Now depending on how long you book us for we will usually do 3-4 routines alternating with games. For 2 hour parties will always suggest you invite parents back 15 mins before the end to watch what a couple of the routines we have learned. It’s a lovely way to round it all off as who doesn’t love putting on a show! This energetic party will have you dancing the funkiest new street dance moves to the latest pop songs. This all singing and dancing party will make you feel like a true pop star at your birthday party. Learn songs and dances to your favourite musical theatre show-stoppers such as Mamma Mia, Grease, The Wizard of Oz, Hairspray, We Will Rock You, Oliver and Wicked. A themed party based on your favourite characters, books, superheroes, film stars or pop stars. The perfect party to bring your little ones dreams to life. Children will be led on a magical journey, based on the stories of My First Ballet and will learn fun ballet inspired dance routines using beautiful music and props. Inspired by your child’s favourite book, these parties will take children on an exciting adventure with dance and music to lift the story from the pages and into their imaginations! These fun-filled themed parties are a huge hit with little party goers! Help them discover their inner Pirate or Princess! Want more information on our Parties? I couldn't recommend Anna enough! She arrived at our house with a beaming smile and with bags full of fun accessories and party props. It was a fantastic party and Anna had all the girls fully involved and attentive. Sam really enjoyed her party and can't wait to try your classes. Her friends had a really fun party, thanks for all your help! We had so many wonderful comments about Skye's party, thank you again for making her day. Massive huge thank you for today!! Chloe had such a brilliant time and was so happy after the party! Thank you, you were so fab with the girls and have lots of patience!! They had a brilliant time and I can’t believe the routines they were able to do!